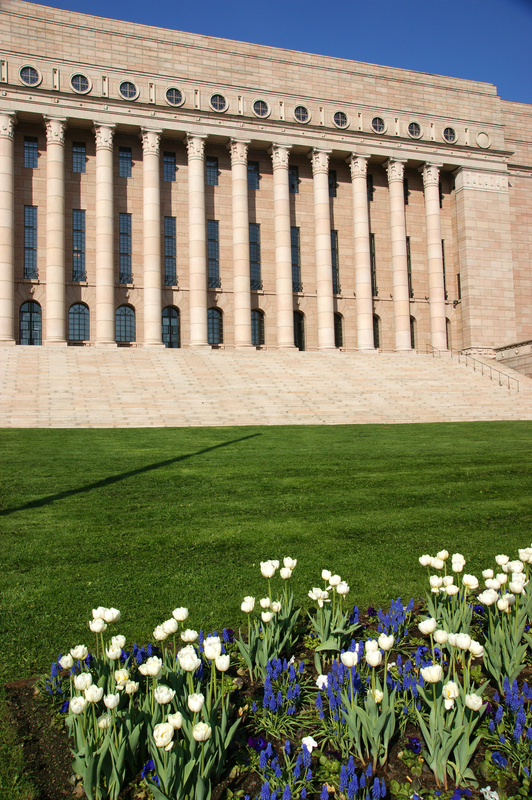 On the 19th of April 2015, elections to the Finnish Parliament will take place. Today, candidates have launched or are launching their campaigns. Some of them might be not even designated, which may be a problem as they will have less than 11 weeks before the elections. This says a lot about your party: are you already designated? Have you a clear idea about what will be the main 5 or 6 topics that your party will push for the election? Has your party trained you for campaigning? If the answer is no to these questions, your party is not helping too much, and you have to compensate by being extraordinary efficient! There is a first question: are you eligible and are you rightfully nominated? You can check it easily here (in English, the same one exists in Finnish). If you are, we can move to the interesting part. You win a campaign if you have clear objectives, you know the values which are important to you, and you have defined your strengths, on which to build to attain your objectives. First, what are your objectives? And the answer is not always: “to be elected”. If nobody knows you, if you are not miss Finland, if you are not supported by a high level politician, if your are not a world-class athlete or a boxer, if you are not somebody already present for any reason in Finnish tabloïds Iltalehti or Iltasanomat, if you have never been elected or a candidate, it may happen that your ambition is more modest, and that the answer would be something like: “I just want to try it to see if I like it”, or “I have something to say for a cause I defend, and I will use this campaign for it”, or “I want to have the experience and be known this time, and elected next time”. Each case is different, and you may need to organise very differently your campaign depending on your real objective. Then, what are your values? It is quite important, because it can define how you are going to lead your campaign: for example, if honesty and transparency are very important to you, you have to behave according to these values, and ask your team to do it. What does it mean for you? How to use your honesty to get more votes? So it is not only defining the values, but also thinking on how to implement and use them in the campaigns. You can find some lists of values on the web, and even methods to define your values, but it would not be bad to find a professional to help you, in particular when it comes to think about how to use them in practice in the campaign. And finally, what are your strengths? How are you going to use them during the campaign? If you are an excellent communicator, you should appear in person in a large number of events. If you are good at networking, use it. You get the idea. For this step, there are a number of techniques (I have a specific tool used by coaches), but you can get some ideas in this article. Then, another topic is how to organise your campaign. I see that there is generally some kind of team around the candidates. You should ask yourself how you want to organise it, and how to distribute the roles. I see a number of teams with campaign managers, media contacts, and so on, but I am not sure that the roles are really defined, and it may happen that you, your campaign manager, your media people and other support roles are in fact obliging you to do a lot of coordination, and sometimes to have long meetings because everything is decided collectively. It may be not so efficient. You may begin by asking yourself and your people what has to be done to be elected, list it, and then decide who is responsible for what, meaning who prepares the decisions, and who decides, and give formalöly the relevant delegations. When it is about your team, there are two topics which may require your attention: do you want to work with volunteers, and do you want to be present in social media? For the volunteers, your answer may depend on the possibility for you to be known in other ways. But in most cases, you need them, not only as supporters, but also as actors, because they can have a multiplying effect if you manage them correctly. You will discover that once they meet you, a number of people are ready to help you with the campaign. But you have to ask yourself some questions: how are you going to recruit volunteers? What kind of instructions and training are you going to give them if they want to be active and disseminate to others the idea that you are a wonderful candidate? When and where do you want to involve them? What kind of material will they get to support you? Flyers? T-Shirts? Who is going to manage them for you? Meaning: who has the availability to do it? So a volunteer coordinator is not a bad idea. Once you have your team and your organisation defined, you need to define your message. It is very nice to meet people and tell them that you are a candidate designated by your party, but it is not sufficient: why are these people going to vote for you, and after meeting you what would you like them to say about you to others? You have to choose the topics on which you are going to build your campaign. How can you use your personal values and beliefs and your personal history to choose something you want to fight for? Well, you cannot choose whatever: if you want for example to improve Finnish economy by developing work immigration and you are a member of the Finns Party, you are in a serious difficulty. So once you know what you want to stand for in order to be identified, check with your party if it is all right. And then develop your ideas, your arguments (preferably with your close team), and teach them to other actors and train your volunteers on it, so your message goes through. Meet with the Big Boys and Girls (key political leaders) in your Party, ask for their support (have a photographer or a cameraman with you to take a photo or a film and publish it). Which ones have you selected? Why? Meet key organizations in your area, which may support you or not, but their leaders should know you. Who do you want to target? Local political organizations? NGOs? Sports clubs? Fishermen associations? Agriculture groups? Ask if there would be an opportunity for you to attend and speak at a group meeting, or to just listen after being presented. They may say no, but you will not know before asking, isn’t it? Have the necessary leaflets, business cards, press releases, a professional looking website, in order to show that you are a pro, not an amateur; in the same domain, follow as soon as possible a media training, so that if you appear on television or answer questions from a journalist you do not appear to be a beginner or a lunatic. I will stop here, because it is already a lot to achieve in some weeks. But there is a last recommendation: get yourself a coach. Generally, when I refer to a coach in Finland, people thing of a media trainer, somebody who prepares you for your public appearances, ore some kind of adviser or trainer. It is not what I mean: a coach is a neutral person, who has been trained to ask you in a supportive way the right questions, in order to help toy find your own answers and attain your objectives. There will always be around you people ready to give you advice, but your coach is going to support you in finding your own way, not others’(you can read about it here). As I have seen in some years of experience in this specific field, it may mean a lot for you. ‹ Will M. Stubb’s government decide to ask subsidies for Finland from the (dubious) European Fund for Strategic Investments?